Kellerman gave me a vibe of Keanu Reeves watching this, both with his looks and his voice, this gave him an ever slight feeling of being a John Wick type character, something that the film almost seems to build him up to. I can't say he was a character I really understood that well though, often times his actions seemed random and wild, with some bizarre scenes of his pent up anger coming to the fore. He also had a long line of terrible jokes that the character seemed to get a lot of pleasure from saying. So a weird one, but he was one I found it easy to root for when events got moving. Cerda as Danni was a far more likeable and grounded character, one who didn't have a bad scene throughout the movie. The antagonist side was harder to define due to them being in the shadows for much of the run time. The main one who appears on camera is novice vampire Luke (Ryan Heindl) with much of the bad guys seen from his unsure eyes. This again tied into the feeling of this being an origin story as the only people really encountered by Hunter are pretty low level. The notion of this being something more supernatural is slowly built up with it at first something that I really wasn't sure where it would be going (I always try and avoid reading any sort of synopsis before watching films). The whole vampire aspect was one I had no problem with, with these ones here being a different type to the norm. Aside from having fangs and needing to drink blood these one are really quite mortal. It meant the classic movie monster tropes didn't really apply, but led to a build up to a fun final third that brought the much hinted at fighting to the forefront. 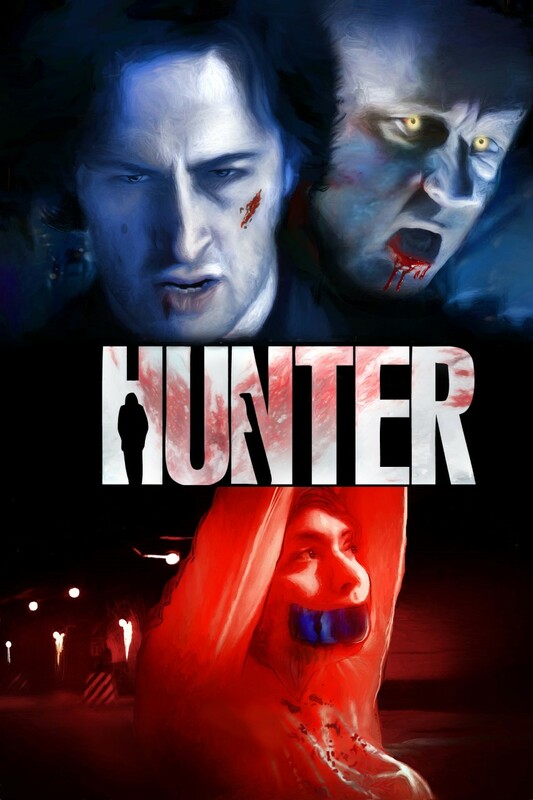 Hunter is more a thriller than a horror, the horror part is made to seem more realistic to fit in with the relatively normal looking world it takes place in. I went into this not really sure what sort of film I would be getting to see. I left this having had fun, while this can be quite bleak, and while it can sometimes be slightly confusing with the way it is laid out it was an interesting spin on the traditional vampire story, Blade if he was human, John Wick if he hunted blood suckers, Hunter might not set the world on fire but it's a nice distraction for a little while. Hunter comes to digital platforms on February 12th thanks to Random Media.